Holiday apartment 309597 50€ - 70€ for cleaning at the end of stay, depends of number of persons and of length of stay.75€ 2 people, 100€ 4 people, 120€ 5 peop.Chrismas and New Year holiday (24.12.-3.01. Holiday house 309657 Home in BH, living in Prague and the French family in the authorized, at home, in BH guide chalereux home visit. 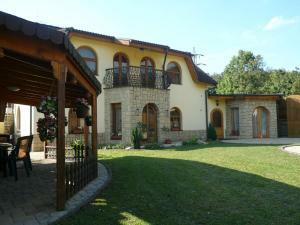 My own home offers 3 independent cottages, each with private bathroom. You can book a single room separately. Holiday apartment 309522 The apartment is situated in a historic 19th century house, fully redecorated and refurnished. It is on the first floor (with lift), comfortable, very nice and quiet. 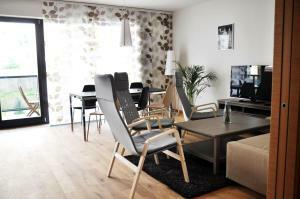 Holiday apartment 249642 We offer an accommodation in a big apartment in our family house. Penzion Chaloupka price per day from €82 A 5-minute tram ride from Prague Castle, the Penzion Chaloupka is well-connected by public transport and offers free private parking on site and free Wi-Fi. All rooms and apartments at family-run Penzion Chaloupka have a private bathroom and come equipped with a satellite TV. Tram lines 1, 2 and 18 halt at the Baterie stop right in front of the Chaloupka guest house. Hradčanská and Dejvická metro stations are reachable by tram in 10 minutes and Prague's Old Town in 15 minutes. Rezidence Břevnov At a 15-minute walk from the historical centre of Prague and 10 minutes on foot from the Prague Castle, Rezidence Břevnov is surrounded by greenery. The modern en-suite spacious apartments, each stretching over the entire floor, come with free WiFi and a private garden. Each apartment has a fully equipped kitchen with a dining table, a living room and a spacious terrace overlooking the city. Restaurants, pubs and shops can be found within a 5-minute walk and a wine bar is located in the neighbouring building. Holiday house 300094 Clean and recently renovated flat in a modernist building of the Post Office from 1930's. 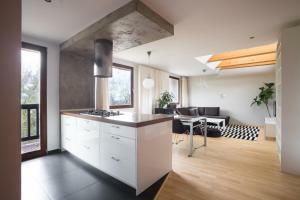 Studio with a large mezzanine bed, a fully equiped kitchen and internet access. We will welcome you whatever time of your arrival. Guest House DD price per day from €24 Located in a quiet, residential area of Prague, Guest House DD offers an attic room with a refrigerator and private bathroom. A restaurant as well as a grocery shop are only 300 metres from the building. 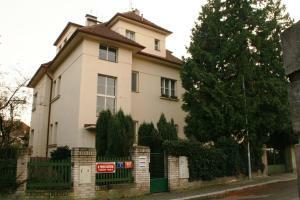 18 stops 500 metres from the Guest House DD, which you can reach the entrance to Prague Castle within 15 minutes. The old town is a 30-minute walk away. Free public parking is possible on site. Pension Hanspaulka Pension Hanspaulka is located in one of Prague’s quiet residential areas, 3 km from Prague Castle, between the airport and city centre. Free locked parking facilities and free WiFi are provided. All rooms at Pension Hanspaulka have a flat-screen TV and a bathroom with a shower. Vaclav Havel airport can be reached by car in 5 minutes and the city centre is a 20-minute drive away. 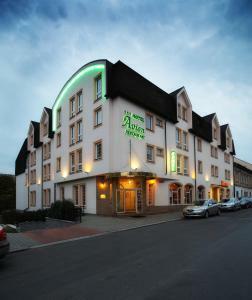 Hotel Avion price per day from €35 This new and modernly styled hotel is located in the quiet district of Prague 6. 5 km away from the city centre and only a 30-minute walk from Prague castle. It takes you just a 300-metres walk to get to the next tram stop and a 500-metres walk to the closest metro stop. All of the nicely furnished en-suite rooms are provided with a hotspot for free wireless internet access. Start your day at the complimentary breakfast buffet and set out to explore the Golden City or for successfully doing business. Villa Schwaiger price per day from €40 This beautiful and romantic boutique hotel is situated in a 120 year old historic building, conveniently located in one of the most exclusive areas of Prague: the Embassy District. Such a privileged position enables guests to enjoy a tranquil atmosphere while also taking advantage of the closeness to the city centre and the castle, being a 25-minute walk away. 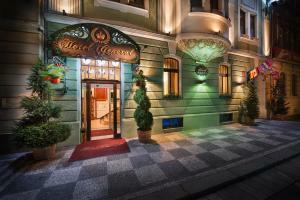 The hotel is surrounded by picturesque residences, romantic villas and the biggest park in Prague, the Stromovka. Hotel International Prague price per day from €39 Set in American Art Deco style, Hotel International Prague is located in a quiet residential area, directly opposite to the Podbaba tram station. Prague city centre is 2 km away and the Dejvická metro station is reachable within a 10-minutes walk. 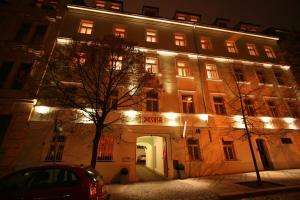 The historic building offers air-conditioned rooms with high ceilings and views over Prague. The Harvest and the Racianska Vinarna Restaurants serve international and Czech cuisine with monthly specialities.